Hinduism is a fascinating religion where there are numerous festivals and rituals. 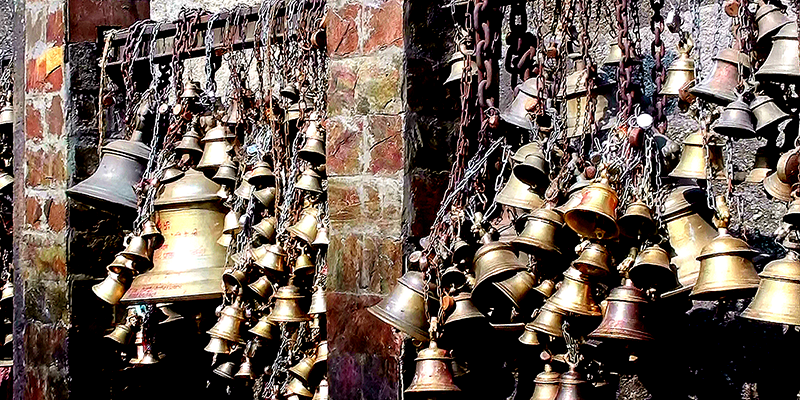 Some rituals are beyond our power of faith and some binds us strongly to the belief of its existence. 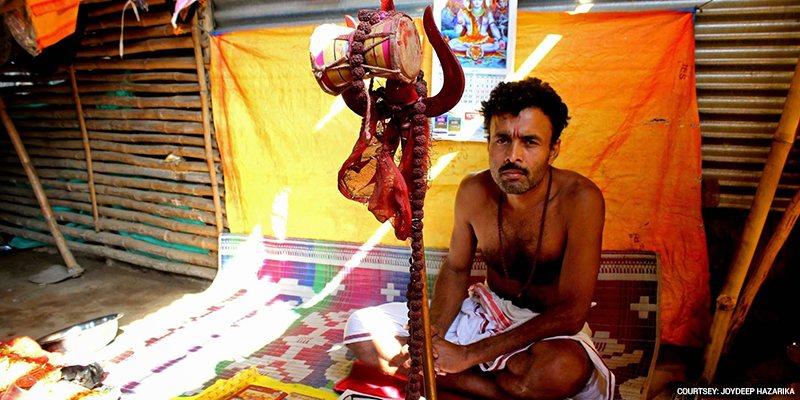 The Ambubachi Mela is one such festival, held near Kamakhya Devi temple in Guwahati. With the onset of monsoon, devotees have started to throng the city of Guwahati, Assam for the World famous Ambubachi Mela held at the Kamakhya Devi temple. The Bauls, aghoras, sadhus, babas, sanysinis, foreign pilgrims and curious visitors can be seen on the streets of Guwahati on the way to the Nilanchal hills, where Devi Kamakhya temple is situated. Goddess Kamakhya is known to her devotees as the “Beloved goddess of desire”. It is one of the revered 51 Shakti Peeths in India and the main deity is natural stone crack which symbolizes the female generative organ. Covered always with silk saree, flowers, and sindur, Kamakhya temple is the most visited temple in Guwahati and Ambubachi Mela celebrates this spirit of Maa Kamakhya. The Mela is held every year in June and last for 4 days. Each year, during these 4 days the temple doors of Kamakhya remains closed. No deity of the temple in worshiped, farmers don’t go to the field, daily worship and religious activities are stopped during the Mela. It is believed, Maa Kamakhya goes through her yearly menstrual cycle during the Ambubachi days and the atmosphere is thought to be unclean. The temple reopens on the fourth day and Prasad is distributed. 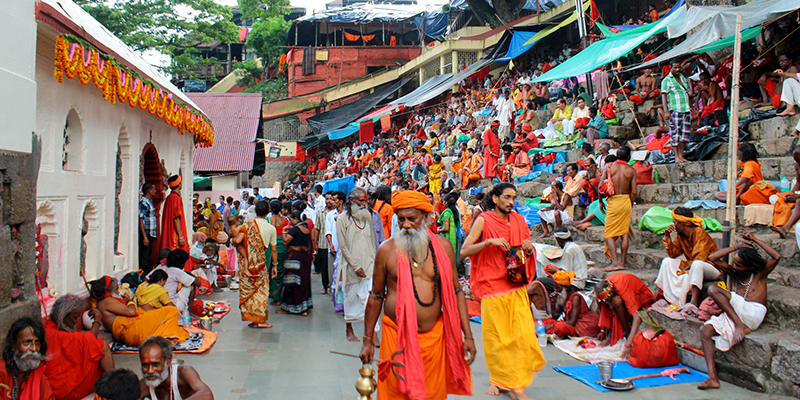 Lakhs of devotees throng the temple to have a glimpse of Devi Kamakhya. The temple is known to be the heart of all tantric traditions and thus, Ambubachi Mela is performed to mark the essence of this festival. Practitioners of the tantric cult are majorly attracted to the temple during this time of the Mela. It is also believed that these tantric make their public appearance only during this period and then return back to their secluded lives again. The yogic feats, performed by these Sadhus are a major attraction for the commoners. Ambubachi Mela is an ideal option to explore the beauty of Guwahati. Nature is all dressed up in green ornaments and welcome its visitors open heartedly. Even if you are not that religious, visit Guwahati during this time of the year and get indulged into the beauty of mystical Guwahati. 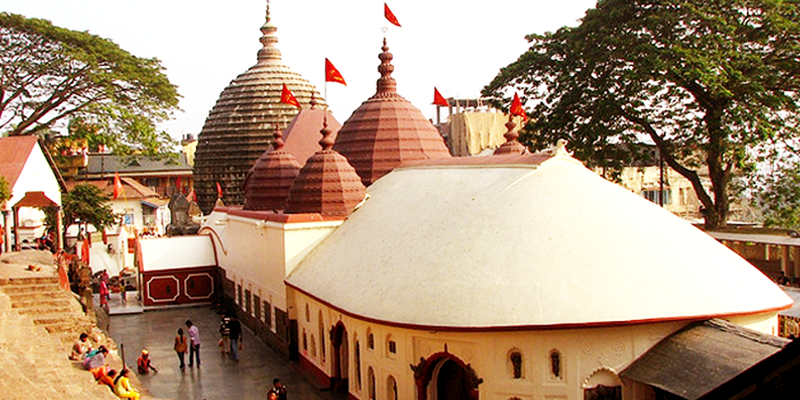 How to reach: Nearest railway station to reach the temple is Kamakhya Railway Station and Guwahati. While there will be a heavy rush in trains, you can also opt for RailYatri special Bus Booking Service. Kumbh Parva is an important festival of Hindu religion, where hundreds of devotees bathe in the Kumbh festival site Haridwar, Allahabad, Ujjain, and Nashik. Each of these places is organized every 12th year. In Haridwar and Allahabad, there is a semi-Kumbha in the interval of six years between two Kumbh festivals. The meaning of the word ‘half’ means half and for this reason, in the interval of twelve years, in the middle of the full moon, ie six years after the completion of Aquarius Aquarius is held.